Next Christmastime, it will be exactly fifty years since as a graduate student at Columbia University I attended the Columbia “smoker” at the American Historical Association meetings in New York, looking for work. At about midnight there came toward me across the floor Bill Leuchtenberg, in whose classes both Howard and I had studied, and together with him a tall, skinny man with dark hair, already walking awkwardly because of a back injury sustained (as I understand it) at a Manhattan warehouse where he worked while a graduate student. Howard hired me to join the faculty of Spelman College, a college for African American women in Atlanta. That summer in 1961, before moving to Atlanta, myself, Howard, and his two children Myla and Jeff climbed Mt. Chocorua in New Hampshire. As he narrates in his autobiography, up and down the mountain Howard and I discussed every imaginable political topic either of us could think of and found nothing about which we disagreed (Howard tells this story in a chapter concluding that class origin does not determine everything). As he also describes in the memoir, when, two years later, he was unceremoniously fired just after students had dispersed for the summer and so could not readily protest, I emerged from a hospital room where my son lay after a nearly life-ending fall from a window and did what I could to organize the expression of indignation about the way Howard had been discharged. Not only was Howard a tenured professor and a department head, he had organized an innovative new program of Asian Studies for the entire Atlanta University complex. I disagree with the statement that Howard Zinn was “after all, a political scientist.” He was an historian who, after discharge by Spelman in June 1963, could find a job only in a political science department. As I have written in Radical History Review, the most remarkable thing about Howard as an academician was that he was always concerned to speak, not to other academicians, but to the general public. Soon after arriving in Atlanta, I asked him what papers he was preparing for which academic gatherings. This was what I supposed historians did. Howard looked at me as if I were speaking a foreign language. He was one of two adult advisers to the Student Nonviolent Coordinating Committee and was preoccupied with the question of how may racism be overcome. My second enormous debt to Howard has to do with oral history. As a teacher, I was using B.A. Botkin’s edition of WPA slave narratives and an autobiographical record by W.E.B. DuBois. The Zinns lived in the same building on the Spelman campus as did the Lynds. One day, I walked unannounced into the Zinn apartment and found Howard tape recording the words of two SNCC organizers who had just been released from jail in Albany, Georgia. As I have also written in RHR, it was as if a light went on inside my head. It suddenly occurred to me that I, too, could do oral history. 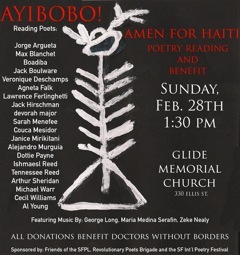 volunteers (myself included) to Mississippi. As Wesley Hogan has written, a mystique hangs over those doings that makes it difficult to ask questions. But she has also shared extracts from the SNCC archives which show that a majority of SNCC staff not only initially opposed the invitation to volunteers, but also, on the very eve of the summer project, wondered why Mississippi African Americans would wish to be seated at a convention of the national Democratic Party. I never could draw Howard into consideration of such issues. I believe that not only was Howard a complex human being, but also that particular books that he wrote and particular efforts in which he engaged, such as “The People Speak” on the History Channel, have both pluses and minuses. I doubt that any of Howard Zinn’s critics wish that he had expressed a more “nuanced” view of the encounter between Columbus and the Arawak Indians, the opening scene of his People’s History and far and away my favorite part of that book (I can remember, when I was a Harvard undergraduate, Samuel Eliot Morison lecturing on Columbus in his yachting whites). But in my own graduate work I came to feel that historians practicing “history from below” and “history from the bottom up,” of whom I was one, had a tendency to romanticize the poor and oppressed persons whom they studied and, especially, to believe that such folks were motivated by ideology to a greater degree than was in fact the case. The Hudson Valley farm tenants whom I studied supported or opposed the American Revolution based on the politics of their landlords, believing that if the side to which their landlord belonged was defeated, they might come to own their farms. Tenants in southern Dutchess County demanded the confiscation of the estates of their Loyalist landlords whereas tenants fifty miles away, whose landlord was an ardent supporter of independence, staged an armed revolt in support of the King. Similarly, city artisans, who as Sons of Liberty were the cutting edge of the struggle for independence, not only voted for the supposedly counter-revolutionary new Constitution in 1787-1788 but staged elaborate parades in its support. Why? In each case, artisans sought whatever would keep the import of British manufactured goods from destroying their livelihoods. My residence of more than a quarter century in a declining steel city, Youngstown, Ohio, has reinforced this view of things. No apology is needed that farm tenants should wish to own the farms on which they toiled, that artisans (like Mexican farmers today) should wish to prevent imports from abroad from destroying their means of making a living, or that a steel worker should turn toward whomever seemed to hold out some hope of reopening the mill. The point is that in none of these instances were ordinary folks motivated by ideas. They were trying to survive economically. I don’t wish to butcher a complicated topic with another set of over-simplifications. I simply observe that Howard was never very much interested in these matters. I wrote to Howard on the eve of Freedom Summer, after an intense SNCC meeting (see Carol Polsgrove’s book, Divided Minds, for extracts from the letter) saying that it seemed to me SNCC needed an economic program comparable to “40 acres and a mule” for what people might be able to do once they had achieved the vote. Howard was preoccupied with the need for federal marshals to be sent South to protect civil rights volunteers. I was uneasy about ever-increasing dependence on the national government. A few days later Chaney, Goodman and Schwerner were murdered. But I believe that lack of agreement about a long-range economic program was a major reason that, after the summer of 1964, SNCC floundered. It would be wrong to suggest that Howard clung stubbornly to an unchanging worldview. This may have been by and large true of him (as it has been generally true of myself) since the mid-Sixties. But he changed dramatically as a young man in his attitude toward war. Howard grew up in the era of the anti-fascist Popular Front and volunteered for service as a bombardier in the Army Air Force. Two things described in his autobiography caused him to change his mind. First, there was another young man who, during the long hours of “hurry up and wait” before bombing runs, discussed politics with Howard. The young man believed that the war was a contest of rival imperialisms. If that is so, Howard finally asked him, why are you here? To talk with people like you, the young man answered. A few weeks later he was killed. Second, shortly before the end of the war, Howard took part in obliterating a French village in which German troops, waiting to surrender, had taken refuge. Accordingly, Howard, while never a pacifist, became convinced that no conceivable modern war could be worth the collateral deaths and other mayhem it would inevitably cause. So what do I think? My favorite memory of Howard has to do with the end of the first version of his play “Emma.” A group of aging anarchists are gathered at the Lower East Side cafeteria where they have always hung out. They are stirring the embers and planning to leaflet the next morning about something or other. Suddenly, Alexander Berkman walks in. He has just been released from many years of imprisonment for his abortive attempt to murder Henry Clay Frick during the 1892 Homestead strike. His friends break off their discussion. Berkman says, What were you talking about when I came in? They respond, Oh, it doesn’t matter: this is our time to celebrate your release. No, I want to know, Berkman persists. The friends explain their leafleting project. Berkman says, And do you have someone for every location? To tell you the truth, they answer, we still need someone for Broome Street. Berkman says, I’ll take Broome Street — and the curtain falls. 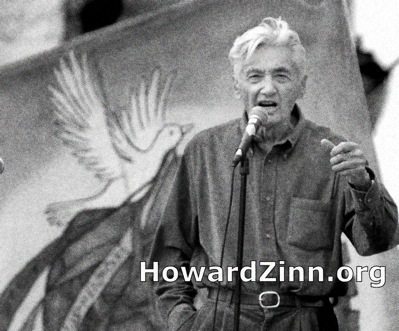 The Howard Zinn website has an extensive list of articles and tributes on the death of the noted historian. 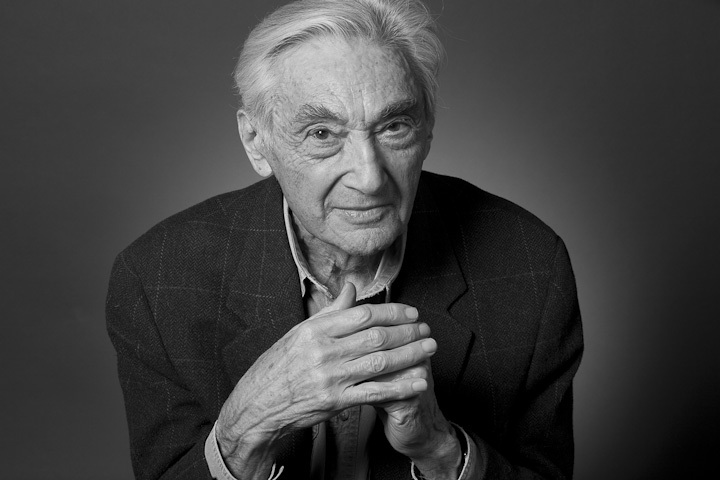 Friedrich Nietzsche once identified three approaches to the writing of history: the monumental, the antiquarian and the critical, the last being history “that judges and condemns.” Howard Zinn, who died on January 27 at 87, wrote the third kind. Unlike many historians, he was not afraid to speak out about the difference between right and wrong…. I have long been struck by how many excellent students of history first had their passion for the past sparked by reading Howard Zinn. Sometimes, to be sure, his account tended toward the Manichaean, an oversimplified narrative of the battle between the forces of light and darkness. But A People’s History taught an inspiring and salutary lesson–that despite all too frequent repression, if America has a history to celebrate it lies in the social movements that have made this a better country. As for past heroes, Zinn insisted, one should look not to presidents or captains of industry but to radicals such as Frederick Douglass, Susan B. Anthony and Eugene V. Debs…. A few years ago, I lectured at St. Olaf College in Northfield, Minnesota (the hometown of the late, lamented Senator Paul Wellstone). Zinn had been there a few days before, and across the top of the student newspaper was emblazoned the headline Zinn Attacks State. I sent Howard a copy. We laughingly agreed that he could not have a more appropriate epitaph. Hardy has resided in Venezuela for most of the past 24 years. As a Catholic missionary priest, he lived eight years in a pressed-cardboard and tin shack in a barrio that lacked water and sewer systems on the periphery of Caracas. He has visited almost all of the Latin American countries and has written and spoken about Latin America for over forty years. 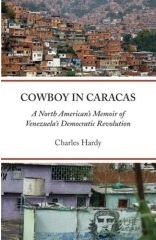 He is author of Cowboy in Caracas, A North American’s Memoir of Venezuela’s Democratic Revolution, (Curbstone Press, 2007) and maintains a website, www.cowboyincaracas.com. A scene from “Blood Done Sign My Name,” which opens on Friday and features Nate Parker, center. WHETHER or not North Carolinians are more inclined than other Americans to follow Thomas Wolfe’s injunction to “look homeward,” some past the age of 50 have personal reasons to cast a retrospective glance on the state of their youth. It was a time when a century of Jim Crow laws and segregation were being challenged by the advocates of civil rights in a struggle that was often more bitter and bloody than popular history likes to admit. For Robert K. Steel, the re-evaluation of his placid recollections of the white-picket-fence world of Durham, N.C., accelerated in the summer of 2005 when he read Timothy B. Tyson’s “Blood Done Sign My Name.” That acclaimed book recounts how, in 1970, the author’s hometown, Oxford, N.C., erupted in racial turmoil after an all-white jury acquitted a white store owner and one of his sons of the murder of a young black man. A former vice chairman of Goldman Sachs, Mr. Steel found Dr. Tyson’s work “fascinating and compelling,” he said in an interview in his office in Greenwich, Conn. Though he’d never had an itch for movie producing, he was so struck by the book’s cinematic potential that he urged it on a Greenwich acquaintance and fellow North Carolina native, Jeb Stuart, who has screenwriting credits on Hollywood action hits including “Die Hard” and “The Fugitive.” The result of their collaboration reaches theaters across the Southeast and in other major markets on Friday. Mr. Stuart also found personal as well as cinematic reasons to connect with the material. Dr. Tyson, who was 11 in 1970, chronicles the struggles that his father, Vernon, a Methodist minister, faced in advocating civil rights progress to a conservative parish. (Vernon Tyson was effectively driven out of Oxford by the end of 1970.) Mr. Stuart’s father was a Presbyterian minister who faced similar trials in Gastonia, N.C. When Mr. Steel and Mr. Stuart met with Dr. Tyson to discuss turning “Blood Done Sign My Name” into a movie, with Mr. Stuart as writer and director, the author was initially leery of turning over his work to a Hollywood filmmaker bearing the name of a Confederate general. (Mr. Stuart was nicknamed for, but not descended from, the rebel cavalry officer J. E. B. Stuart.) But the men soon discovered they agreed on what the movie should avoid. Besides being a fan of “The Fugitive” Dr. Tyson was happy to learn that he and Mr. Stuart both loathe movies like “Mississippi Burning” and “Ghosts of Mississippi,” in which conflicts between good and bad white people overshadow the actions of blacks. Interviewed by phone from his current home in Durham, where he teaches African-American studies at Duke University, Dr. Tyson said that Hollywood’s distortions have helped reinforce the gauzy mythology of the struggles of the Rev. Dr. Martin Luther King and others. “We have this sugarcoated confection of the civil rights movement in popular memory,” he said. “It’s interracial, it’s nonviolent, and it’s successful. Nobody ever opposed it. In this rendition the civil rights movement is largely a call to America’s conscience that America pretty much answered.” The reality, he said, was more complex. Many minds changed in the next few years, he noted, but even by 1970 much had not changed. In Oxford the movie theaters were still segregated. Downtown businesses sold to African-Americans but would hire them only as janitors. Public pools and recreation areas had been closed to keep them out. Thus, in May of that year, when a young black Vietnam veteran named Henry Marrow was beaten and killed on an Oxford street by three white men, an incident watched by several witnesses, the town was ready for an explosion. 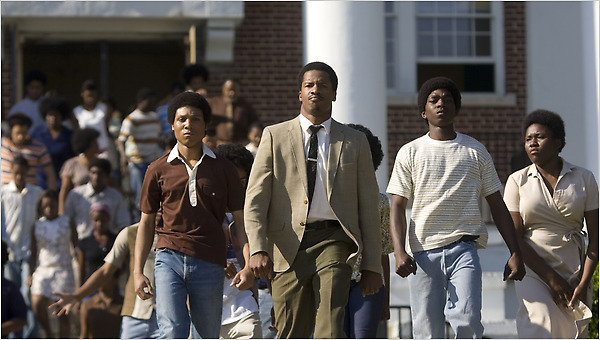 As the movie shows, the trial of two of the men was of intense concern to 22-year-old Ben Chavis (played by Nate Parker), a black Oxford native who had recently returned to teach high school after having become a civil rights organizer while in college in Charlotte, N.C. The days of passive acceptance, it turned out, were over. In the wake of the acquittals, crimes aimed at white businesses included the firebombing of several tobacco warehouses, attacks that suggested the skills of Mr. Marrow’s fellow Vietnam veterans. Dr. Chavis said, however, that he believes the actions that brought change were the legal ones. He led a protest march from Oxford to the state capital, which helped lay the groundwork for a boycott of white businesses that lasted 18 months and finally forced full integration on Oxford. Dr. Chavis echoed remarks by Dr. Tyson in saying that he believes the struggles depicted in both the book and the movie are not particular to North Carolina or the region. EDITORIAL: WILL YOU BECOME A DISPOSABLE WORKER? Pitch up a tent on poles. RACE TO NOWHERE: MAYORAL TAKEOVER BID STALLED IN MILWAUKEE . . . FOR NOW. NO CUTS, NO FEES: PUBLIC EDUCATION MUST BE FREE!